Green Power Solar Schools was launched at Hillcrest Middle School in March of 2009. It is a partnership between Santee Cooper, Black River and Hillcrest. The overall goal of this program is to increase the number of teachers who teach the science and technology of renewable energy and therefore increase the number of students who are exposed to these concepts. Students get first-hand knowledge about solar energy and how it applies to their daily world. Through Green Power Solar Schools, thousands of children, teachers and parents and the community will be exposed to the important role renewable energy can play in meeting a portion of our state’s electricity demand. The Green Power Solar Schools initiative is designed to encourage interest in the environment and demonstrate the feasibility and limitations of renewable power generation. Each Green Power Solar School receives a 2-kilowatt solar power system, which will provide a teaching, research and hands-on demonstration opportunity for students. The project uses a new renewable energy curriculum designed especially for the program that meets state science standards. Each school program is supplemented by an Internet-based monitoring system that provides real-time access to information on the system’s performance as well as other solar schools in South Carolina. “Black River Electric Cooperative is pleased to be a partner in this innovative program. We can’t think of a better way to help discover solutions to the energy challenges before us than to work with young people – after all the future will be in their hands. We know their educational experience will be enriched through this program,” said C.H. Leaird, Black River Electric Cooperative CEO. 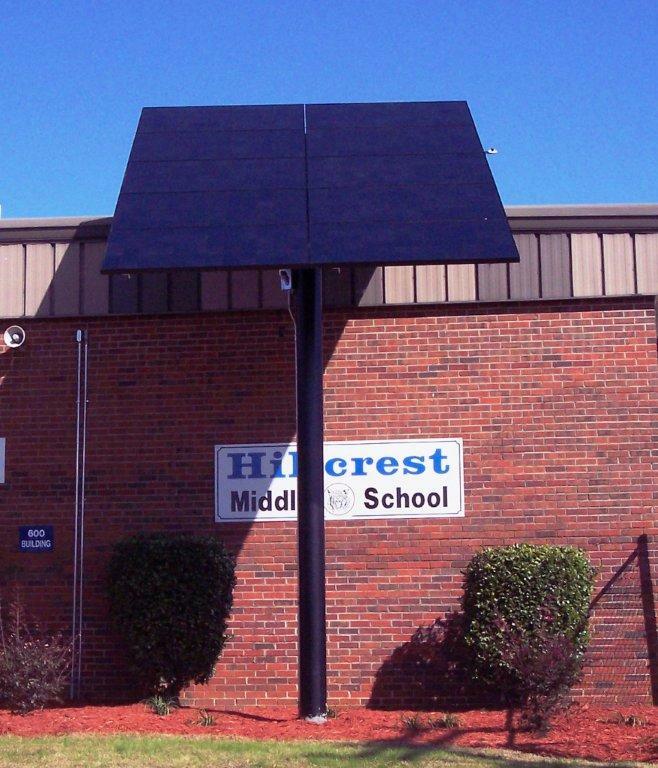 Click hereto see the list of solar schools and view their real time data.